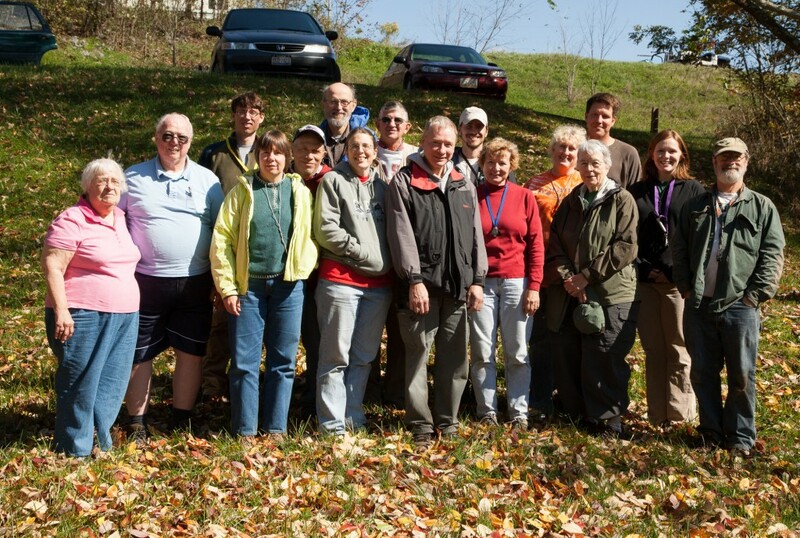 Organized by Bill and Carole Schumacher, the 2012 Fall Foray was held in Monroe Count during the weekend of October 6 and 7. Bordering the Ohio River in southeastern Ohio, Monroe is mostly wooded, with rolling topography and some exposed bedrock formed during the Carboniferous and Permian Periods. We visited three sites during this foray. Saturday morning was spent at a portion of the Wayne National Forest known as Lamping Homestead, situated along State Route 537, between Graysville and Marr. The site is well forested with both deciduous trees and a conifer plantation, along with a 2-acre pond. 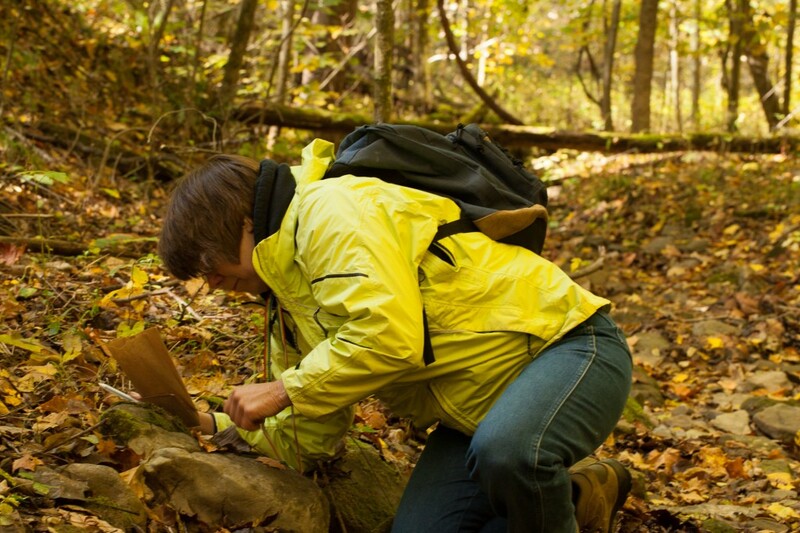 Janet collects saxicolous bryophytes off a non-rolling stone. Even though OMLA forays are focused on bryophytes and lichens, it’s hard not to get a distracted when the twigs are waving at you! Jessie and Ryan admire aphids on a beech twig. We were amazed by dense aggregations of a large active colonial aphid, the beech blight aphid, Grylloprociphilus imbricator, also called the beech woolly aphid. The beech wooly aphid has an interesting fungal associate that we saw growing directly beneath the aphid colony. Behold Scorias spongiosa, a sooty mold (a type of ascomycete) that exclusively feeds on the sweet “honeydew” droppings of this aphid species. But we didn’t digress too long. We observed this lichen, a fruticose species with pointed podetia that are sorediate, and are also bare (ecorticate) at their bases). 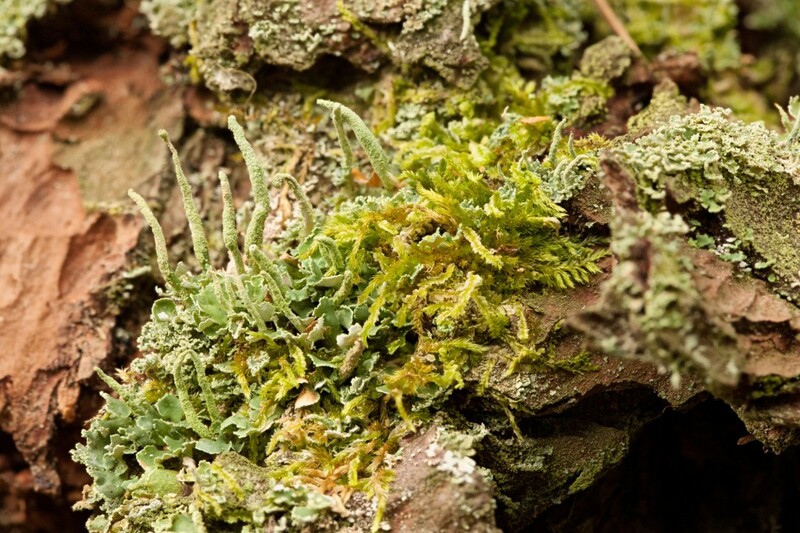 Fruticose lichen at the base of a tree. We lunched at Piatt Park. OMLA Fall Foray participants Monroe County. Piatt Park is a 119-acre tract with a picnic shelter house and trails that led to an intriguing gorge area with a stream running through it. 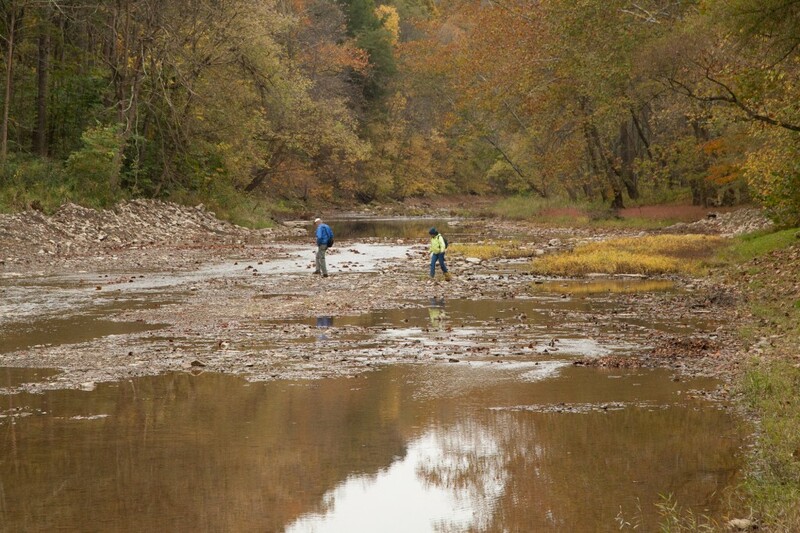 Jim and Janet hunt for aquatic bryophytes at Piatt Park, Monroe County, Ohio. Saturday evening was spent in a hotel in Martinsville, WV. We set up and enjoyed our “scope room,” where we identified as many samples as we could before it got too late. The scope room is a specimen identification lab. Sunday morning was spent at Rothenbuehler Woods of The Nature Conservancy, and exploring the boulders and trees along the north side of Sunfish Creek. 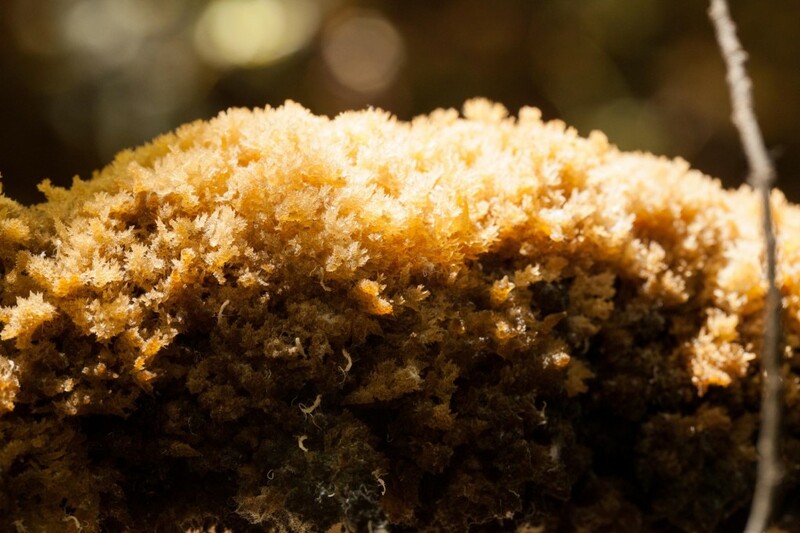 A large boulder was home to two species of papillose-leaved carpet mosses (pleurocarps) growing admixed, an unusual instance of two species within a single genus growing together. Carpet mosses on a rock. 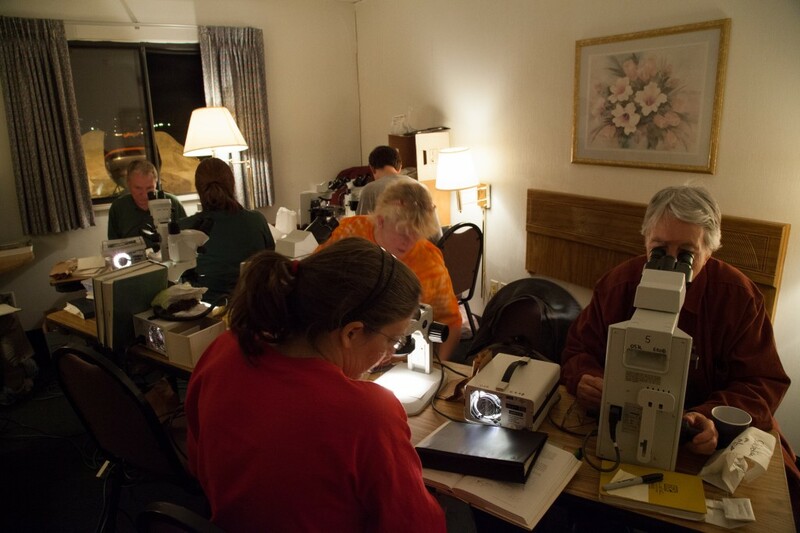 Previous to this foray, 53 macrolichens were known from Monroe County. 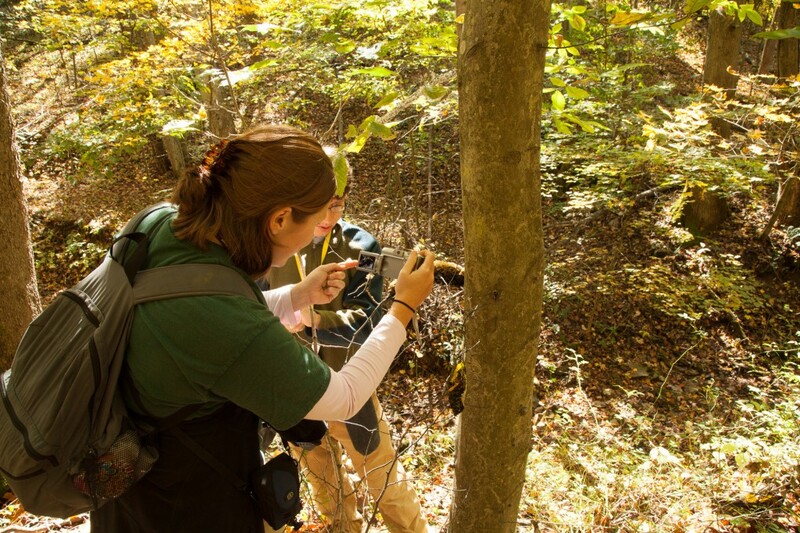 Forty-nine species were found this weekend, including 22 new records for the County. 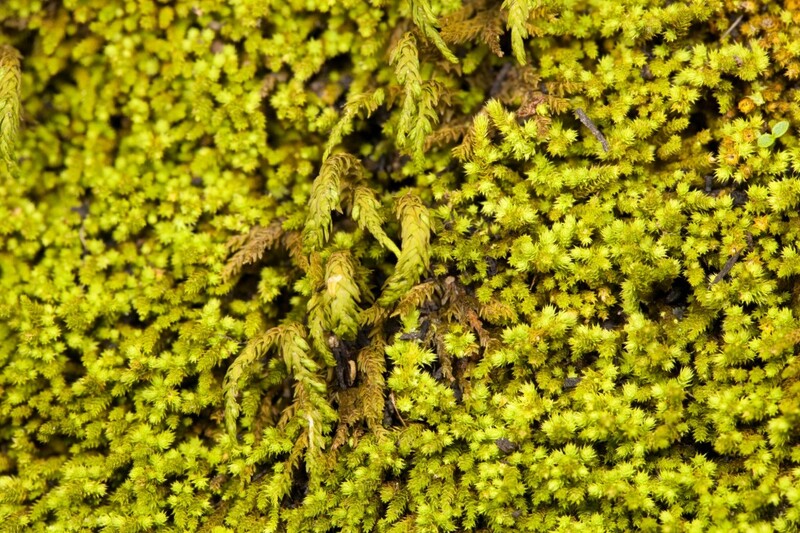 For mosses, 58 species were known from Monroe; we found 57, of which 30 species are new for the county. Species lists and additional details about the OMLA Fall Foray are in the 2012 OBELISK newsletter.